If you have ever had to wait those agonizing minutes in front of a computer for a movie or large file to load, you’ll likely sympathize with the plight of cosmologists at the U.S. Department of Energy’s (DOE) Argonne National Laboratory. But instead of watching TV dramas, they are trying to transfer, as fast and as accurately as possible, the huge amounts of data that make up movies of the universe – computationally demanding and highly intricate simulations of how our cosmos evolved after the Big Bang. In a new approach to enable scientific breakthroughs, researchers linked together supercomputers at the Argonne Leadership Computing Facility (ALCF) and at the National Center for Supercomputing Applications (NCSA) at the University of Illinois at Urbana-Champaign (UI). This link enabled scientists to transfer massive amounts of data and to run two different types of demanding computations in a coordinated fashion – referred to technically as a workflow. What distinguishes the new work from typical workflows is the scale of the computation, the associated data generation and transfer and the scale and complexity of the final analysis. 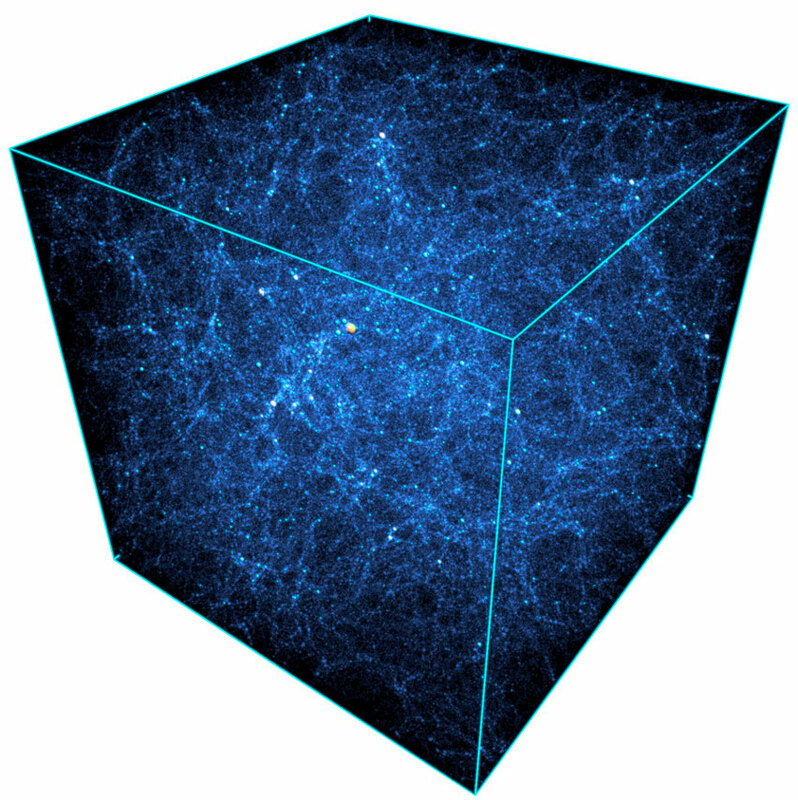 Researchers also tapped the unique capabilities of each supercomputer: They performed cosmological simulations on the ALCF’s Mira supercomputer, and then sent huge quantities of data to UI’s Blue Waters, which is better suited to perform the required data analysis tasks because of its processing power and memory balance. For cosmology, observations of the sky and computational simulations go hand in hand, as each informs the other. 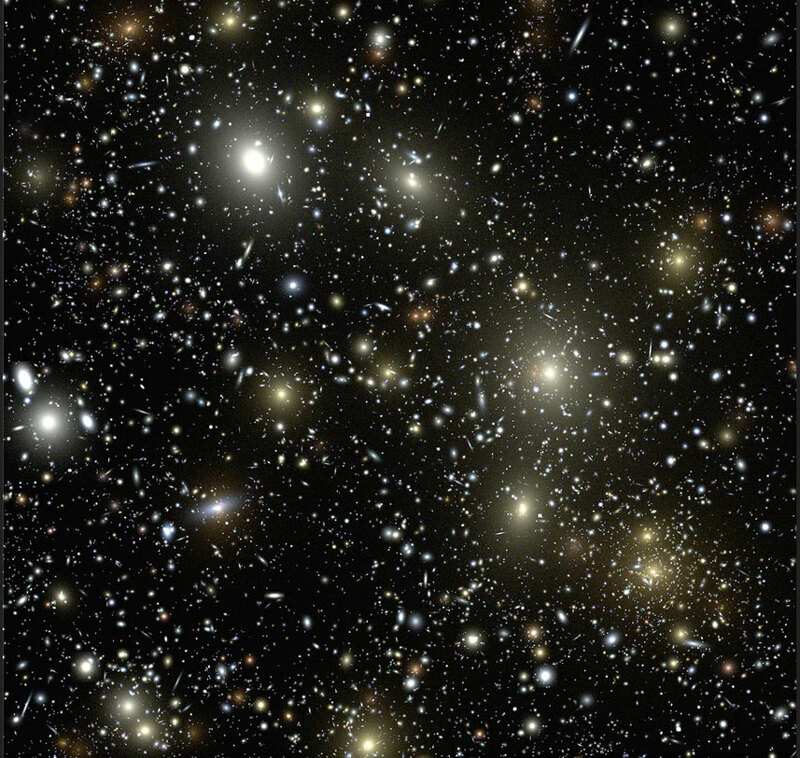 Cosmological surveys are becoming ever more complex as telescopes reach deeper into space and time, mapping out the distributions of galaxies at farther and farther distances, at earlier epochs of the evolution of the universe. In particular, Argonne transferred the data produced immediately to Blue Waters for analysis. The first challenge was to set up the transfer to sustain the bandwidth of one petabyte per day. Once Blue Waters performed the first pass of data analysis, it reduced the raw data – with high fidelity – into a manageable size. At that point, researchers sent the data to a distributed repository at Argonne, the Oak Ridge Leadership Computing Facility at Oak Ridge National Laboratory and the National Energy Research Scientific Computing Center (NERSC) at Lawrence Berkeley National Laboratory. Cosmologists can access and further analyze the data through a system built by researchers in Argonne’s Mathematics and Computer Science Division in collaboration with Argonne’s High Energy Physics Division. Argonne and University of Illinois built one such central repository on the Supercomputing ’16 conference exhibition floor in November 2016, with memory units supplied by DDN Storage. The data moved over 1,400 miles to the conference’s SciNet network. The link between the computers used high-speed networking through the Department of Energy’s Energy Science Network (ESnet). Researchers sought, in part, to take full advantage of the fast SciNET infrastructure to do real science; typically it is used for demonstrations of technology rather than solving real scientific problems. The full experiment ran successfully for 24 hours without interruption and led to a valuable new cosmological data set that Heitmann and other researchers started to analyze on the SC16 show floor. Argonne senior computer scientist Franck Cappello, who led the effort, likened the software workflow that the team developed to accomplish these goals to an orchestra. In this “orchestra,” Cappello said, the software connects individual sections, or computational resources, to make a richer, more complex sound. He added that his collaborators hope to improve the performance of the software to make the production and analysis of extreme-scale scientific data more accessible. “The SWIFT workflow environment and the Globus file transfer service were critical technologies to provide the effective and reliable orchestration and the communication performance that were required by the experiment,” Cappello said. Argonne computer scientist Rajkumar Kettimuthu and David Wheeler, lead network engineer at NCSA, were instrumental in establishing the configuration that actually reached this performance. Maxine Brown from University of Illinois provided the Sage environment to display the analysis result at extreme resolution. Justin Wozniak from Argonne developed the whole workflow environment using SWIFT to orchestrate and perform all operations. The Argonne Leadership Computing Facility, the Oak Ridge Leadership Computing Facility, the Energy Science Network and the National Energy Research Scientific Computing Center are DOE Office of Science User Facilities. Blue Waters is the largest leadership-class supercomputer funded by the National Science Foundation. Part of this work was funded by DOE’s Office of Science.